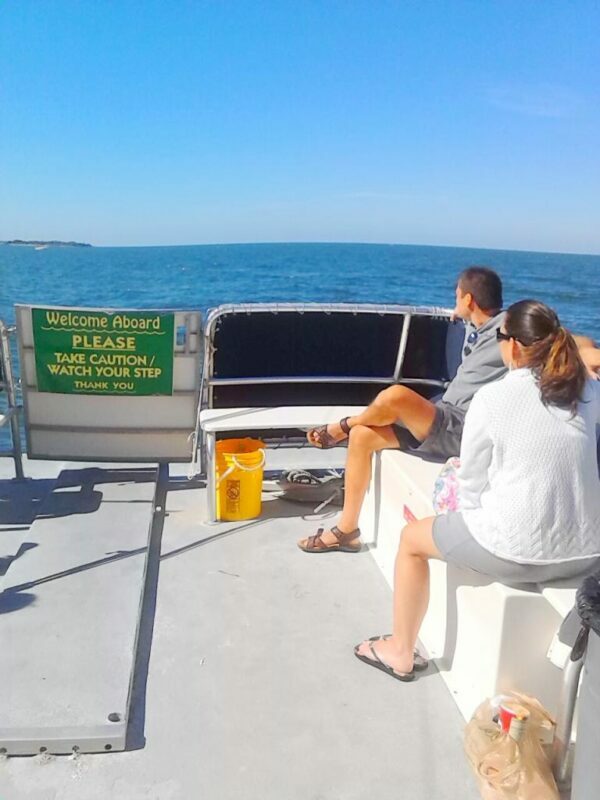 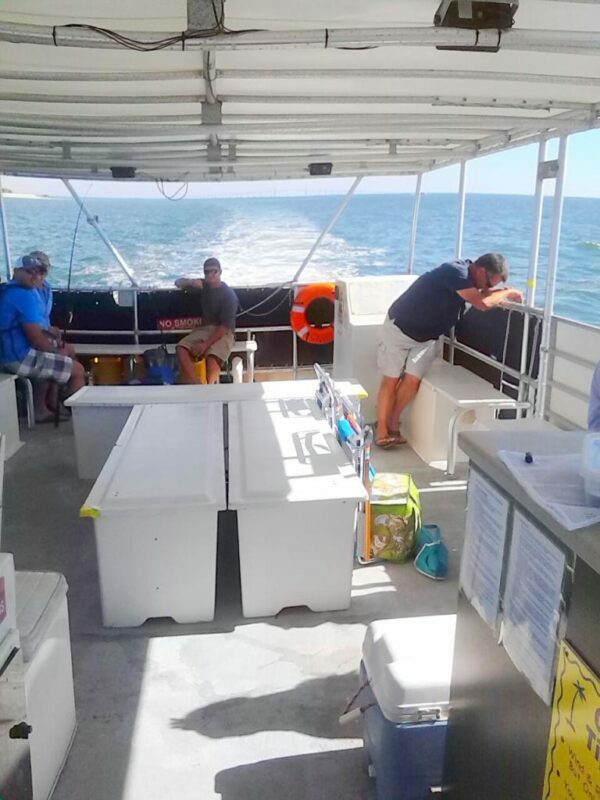 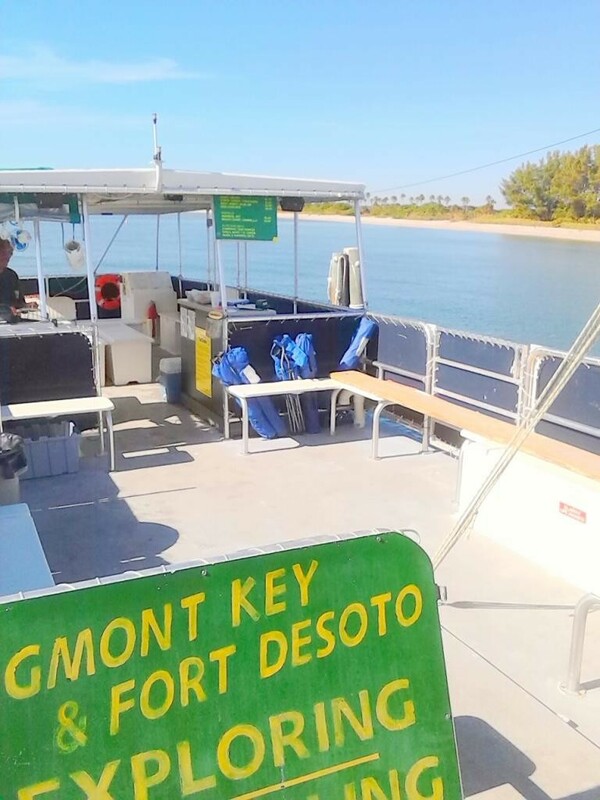 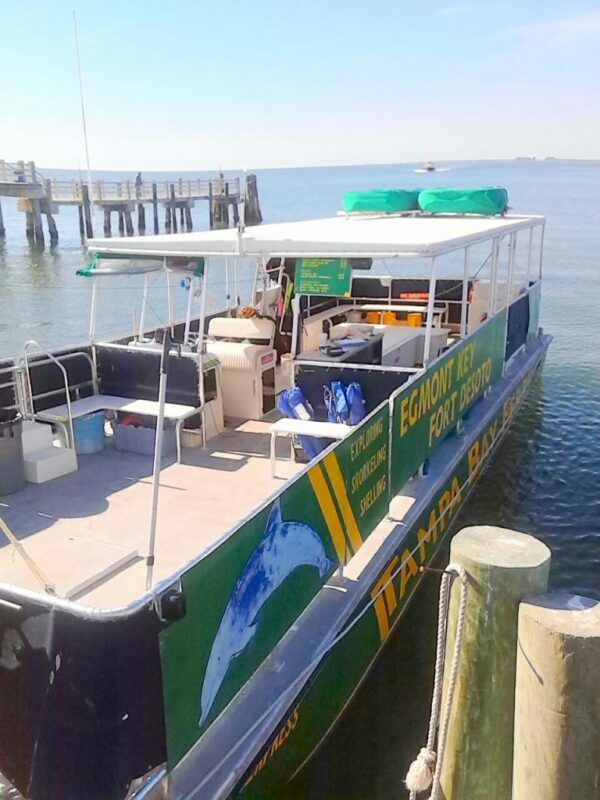 The Sea Adventure 2 Johns Pass express or Tampa Bay ferry is our big green boat that normally runs our Fort De Soto Ferry to Egmont Key trips and our snorkeling excursions. 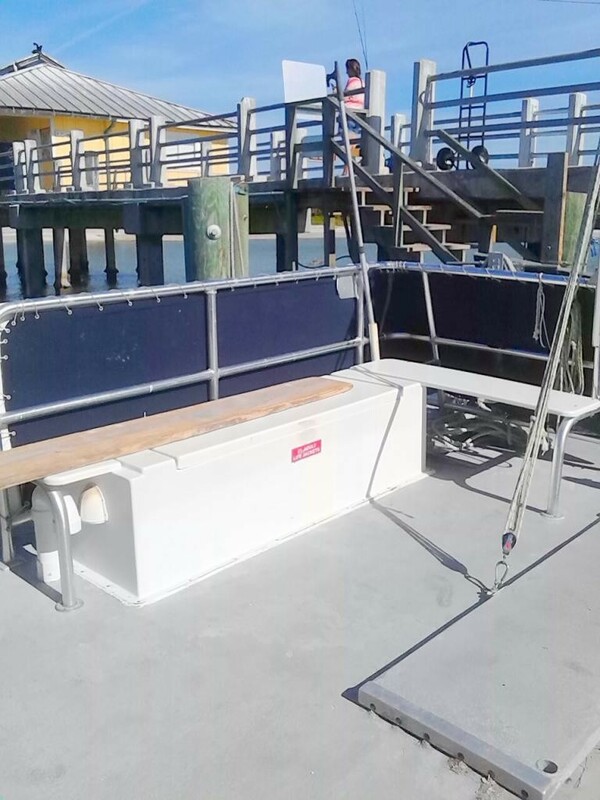 This boat is a 46ft Corinthian hull with spacious seating around the outer perimeter and middle of the boat. 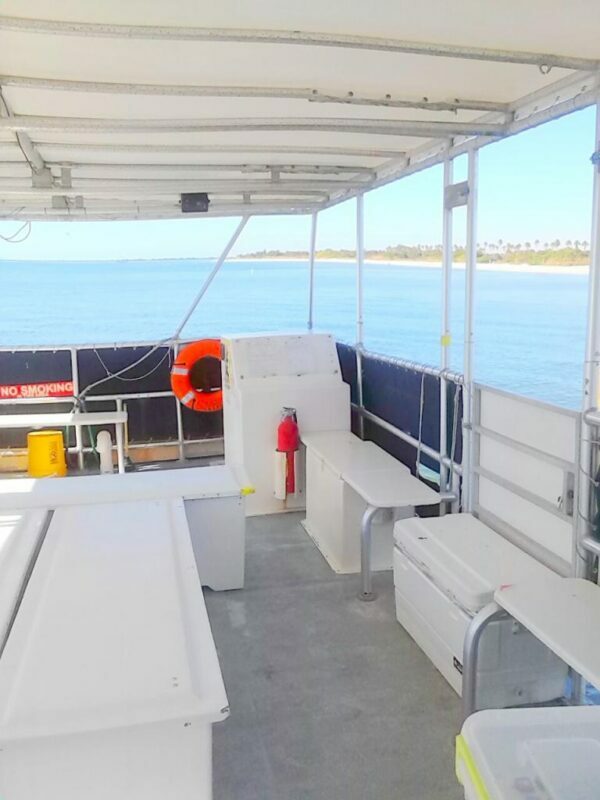 It also has a bathroom at the back of the boat as well. 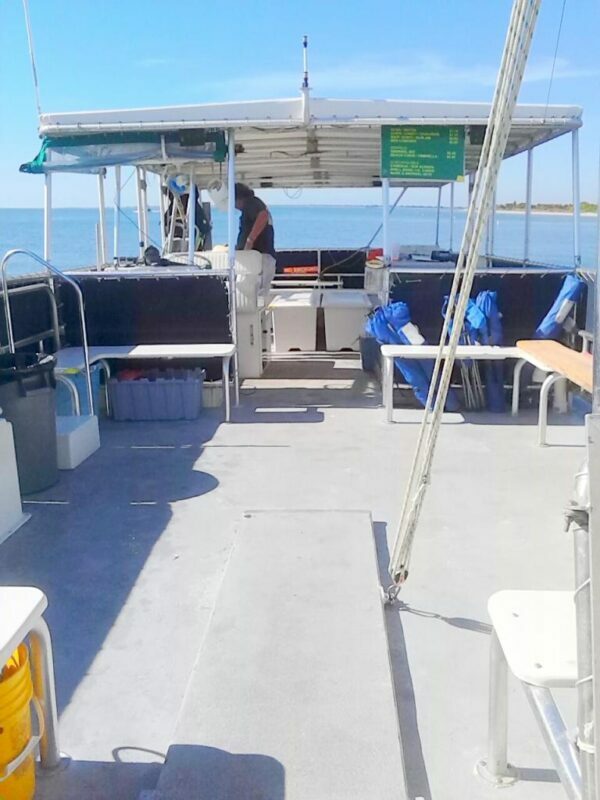 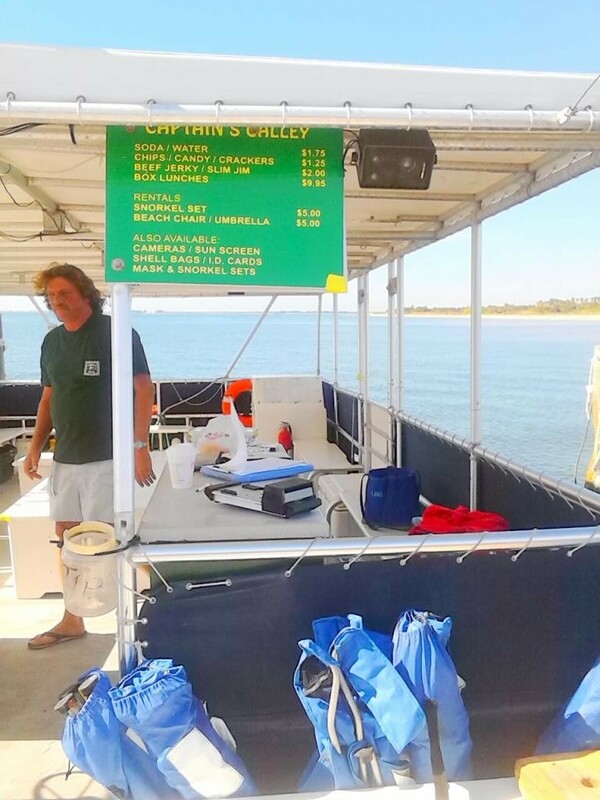 This boat also has a snack bar on board with soda, water, snacks, candy, and more for sale or you could purchase the many catering options.